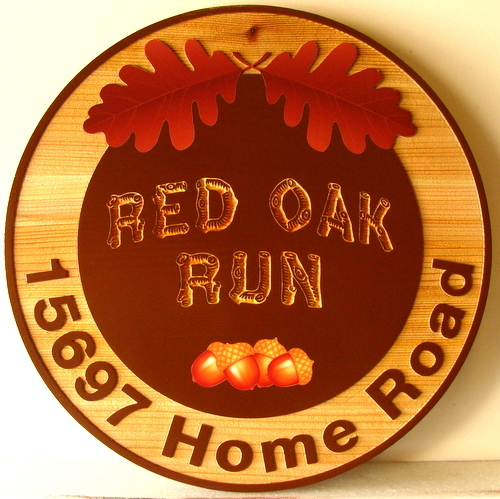 This rustic, naturally finished Western Red Cedar residence sign "Red Oak Run" has been engraved (incised) with our CNC router to carve out the background, leaving text and art raised. The background is sandblasted. The text and artwork are hand-painted. Two layers of clear-coat are applied to protect the sign against scratches and UV fading. The sign can be mounted on a gate, wall, on a post or between two posts, or hung from a wood or iron hanger from the eye-hooks on the top.